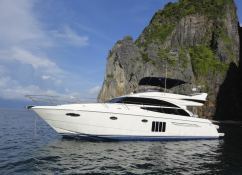 This Princess 60 motor yacht, available for rent in Phuket in Thailand is powerful and elegant and is now one of the most exciting yachts indeed with its fitted interior and breathtaking sitting or standing views. 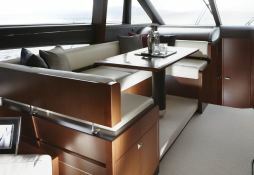 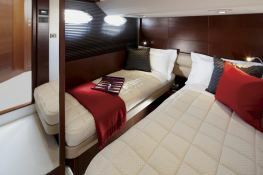 As with all Princess models, the owner's cabin now has a large windows with a new two-seater sofa. 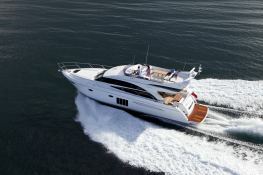 This Princess P 60 built in 2012 by Princess Yachts welcomes up to 6 passengers to explore Phuket and Thailand. 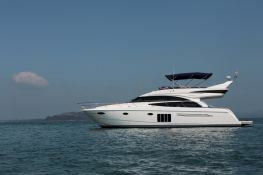 This Princess P 60 available for charter in Phuket and Thailand is fully equipped with air conditioning, BBQ, equipped galley, generator and also CD and DVD for leisure. 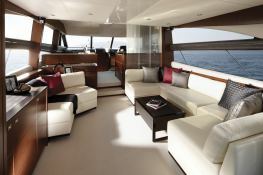 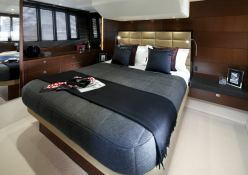 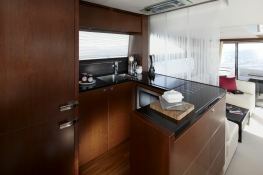 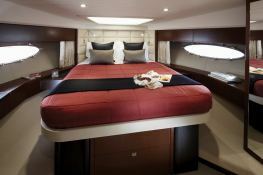 This motoryacht is available for a crewed yacht charter with a base price of 24 900 € (approximatly 28 081 $).